Following on from my last post about easy lovin’ crafty ideas, I just had to share this one with you. You could cut out the hearts by hand or use a punch to save time. This would look gorgeous in a nursery, or as seen here above a little one’s bed. 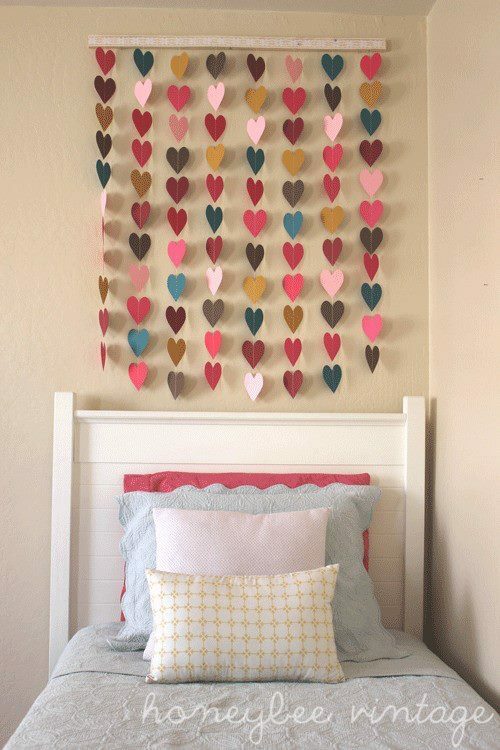 This entry was posted in creative stuff, design stuff and tagged bed time, bedroom, decor, etsy, heart, hearts, mobile, nursery by rudyandthedodo. Bookmark the permalink. I think I could even see this in the right colours above “mummy and daddy’s” bed!